The Encrypting File System (EFS) is a security feature in Windows XP Professional which prevents unauthorized users from accessing your files. You can continue to use the encrypted files without having to decrypt them manually. You can even share them with other users on your computer. However, if your computer is stolen or attacked by a hacker, the unauthorized user will get an access denied message when trying to access the encrypted files. 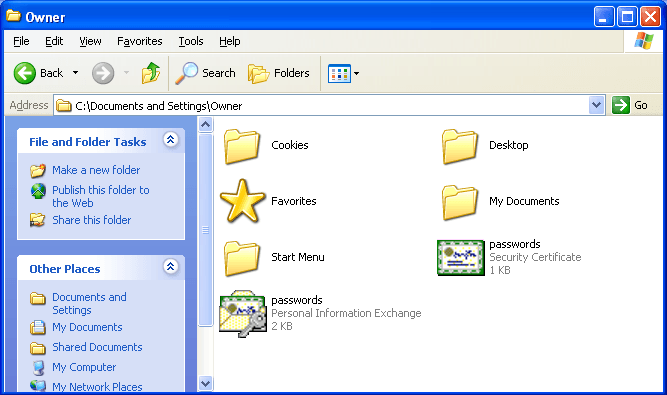 The Encrypting File System works only on NTFS volumes and isn’t included with Windows XP Home Edition. Click Start, then click My Computer. Navigate to the file you’d like to encrypt. Right-click it, then select Properties. Click the General tab, and click Advanced. 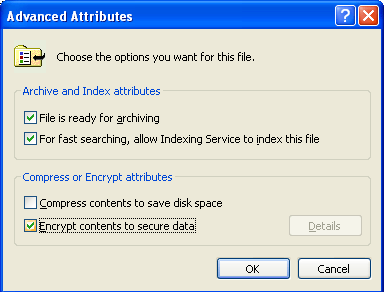 Under the Compress or Encrypt attributes heading, click the check box beside Encrypt contents to secure data and click OK twice. 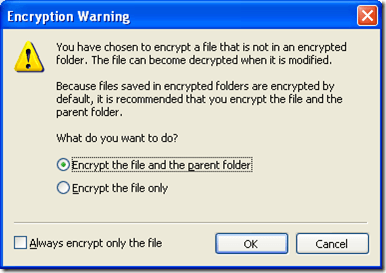 You will receive an encryption warning if the file is in an unencrypted folder. If you just wish to encrypt the file, select Encrypt the file only and click OK. 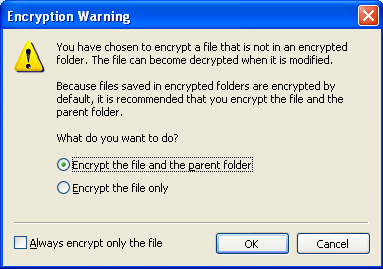 If you want to encrypt the folder as well, select Encrypt the file and the parent folder, then click OK. When you encrypt a folder, every file added to that folder will be encrypted. Successfully encrypted files and folders appear green in Windows Explorer. 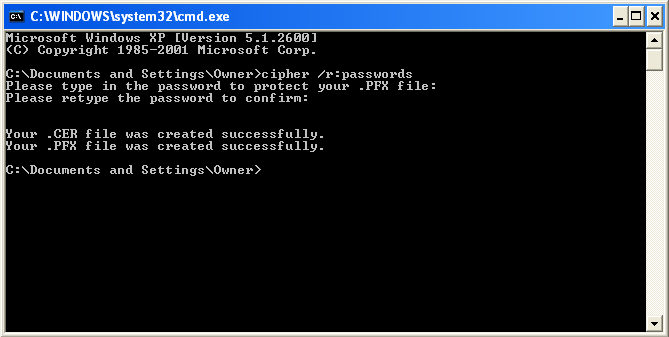 In Windows XP Pro, encrypted files are protected by a user’s username and password. You must create a strong password and keep it hidden from unauthorized users for the encryption to protect your confidential files. 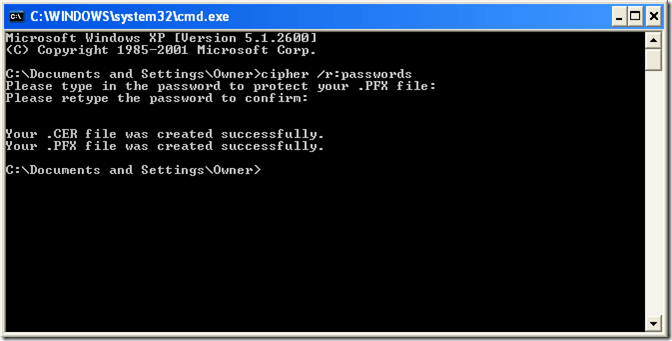 Windows XP also uses public and private encryption keys to decrypt the data automatically. If the private key is lost or damaged, the encrypted data may be unrecoverable. So you must export the EFS keys to removable media and keep them in a secure place to guard against data loss. To export your recovery certificates and private key, make sure you’re logged in as the user that created the encrypted files. Click Start, then Run, type cmd and click OK. Type cipher /r:filename, where filename is the name of the encrypted file, and press Enter. Type your password when prompted to do so, then confirm the password. No text will appear on the screen as you type your password. These steps will create two files, one with a *.cer extension and one with a *.pfx extension. 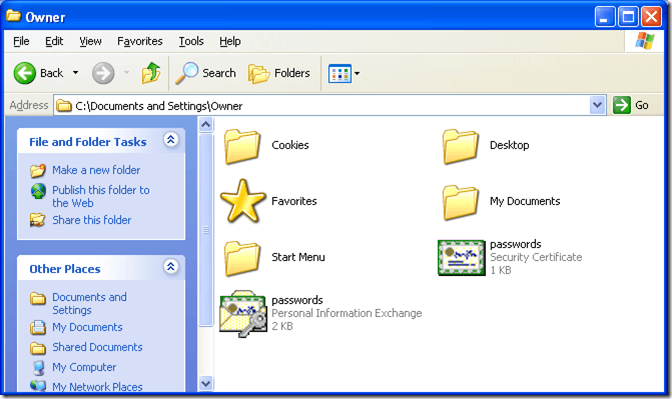 Navigate to the folder where you saved these files, then back them up to a floppy disk or CD. 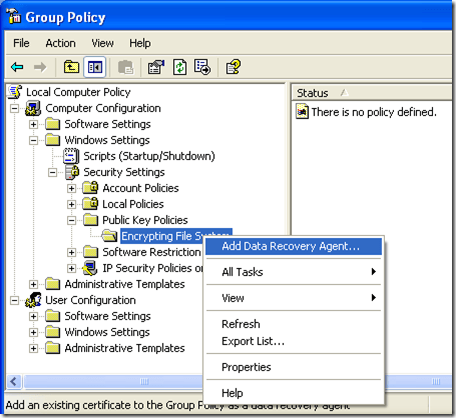 To recover the encrypted files in Windows XP Professional, you must import the EFS recovery certificates and the private key. Log onto the computer as an administrator, then click Start and Run. Type gpedit.msc and click OK. 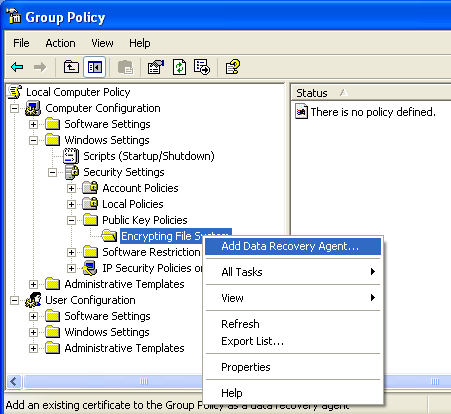 Expand the nodes for Local Computer Policy, Computer Configuration, Windows Settings, Security Settings and Public Key Policies. 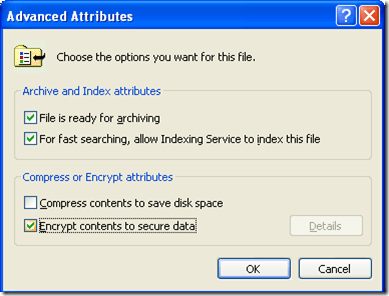 Right-click the Encrypting File System entry, then select Add Data Recovery Agent. Click Next and then Browse Folders. Navigate to the *.cer file you created when you exported your recovery certificate, select it, then click Open. To encrypt and password protect your files in other operating systems, read Encrypt and Password Protect Text Files for Free.